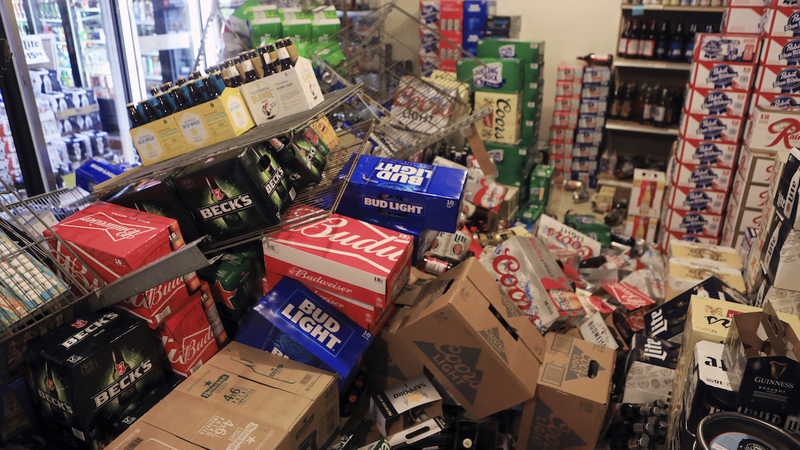 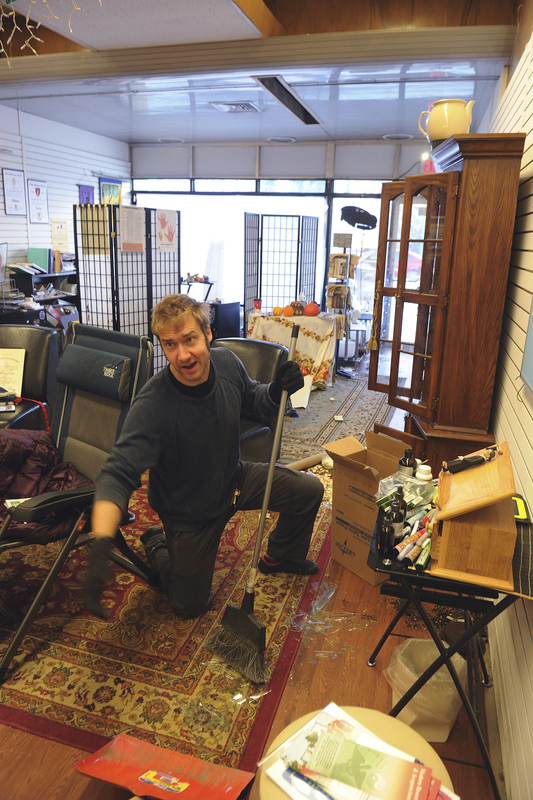 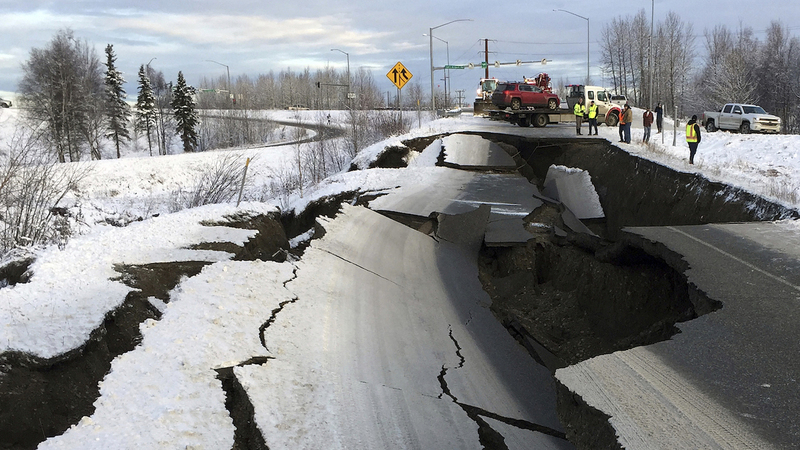 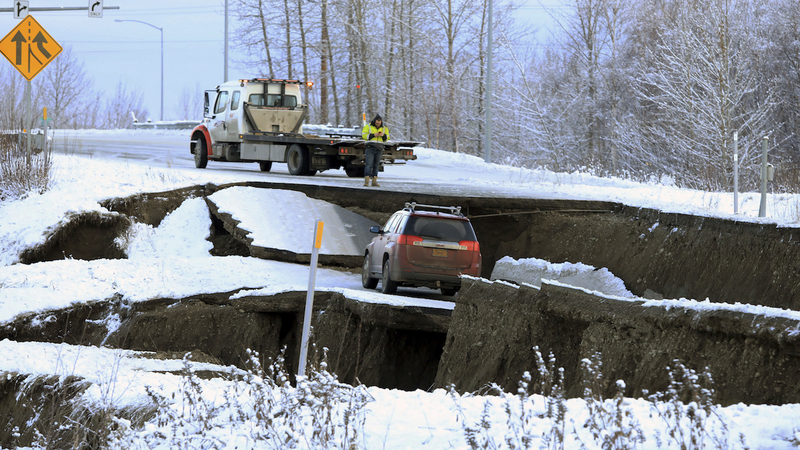 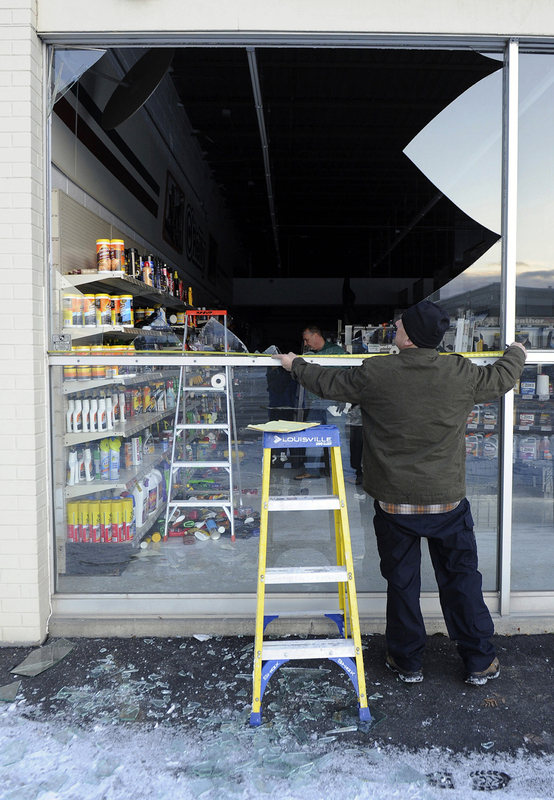 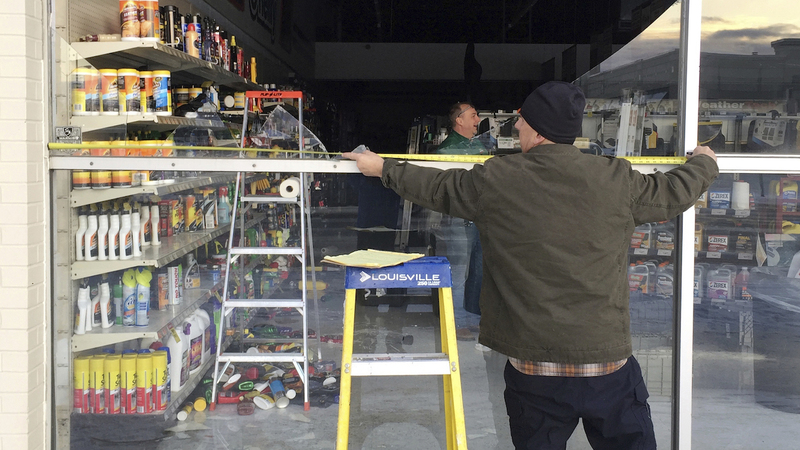 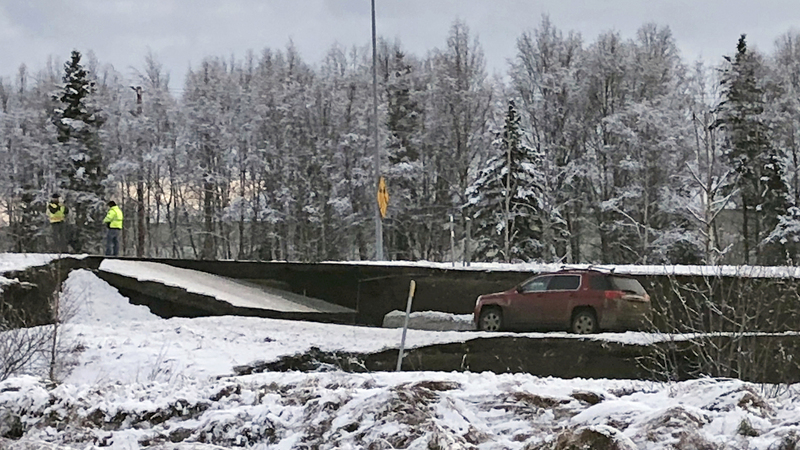 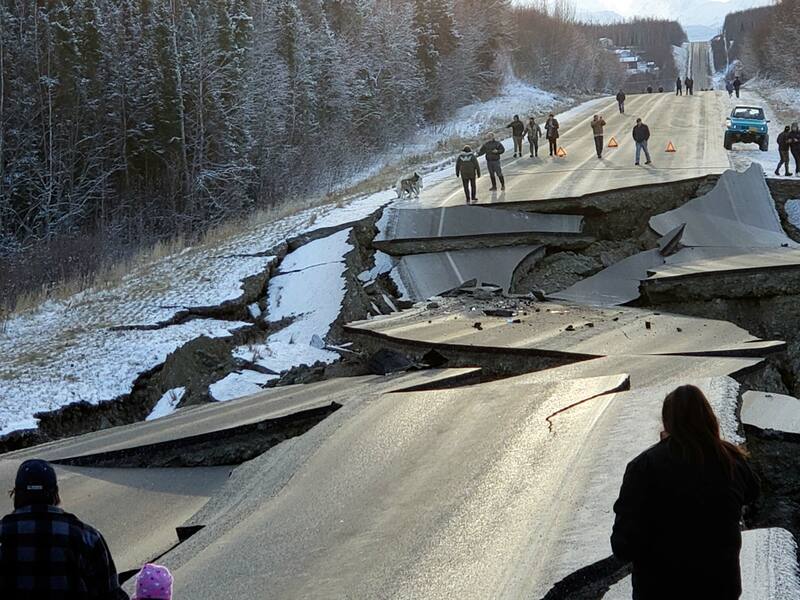 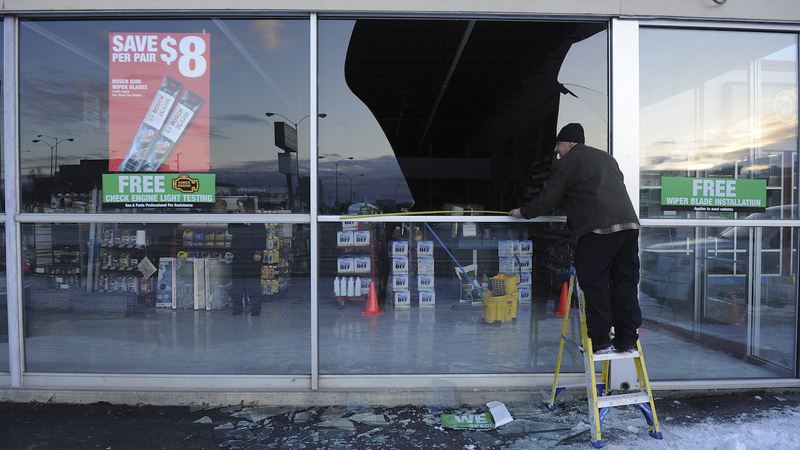 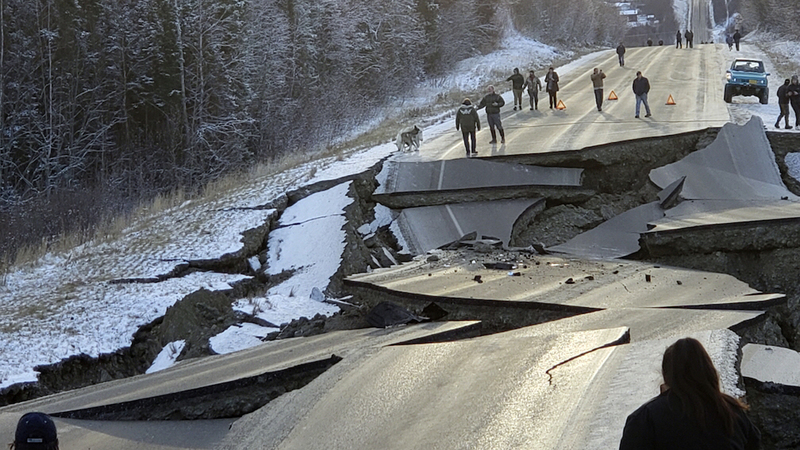 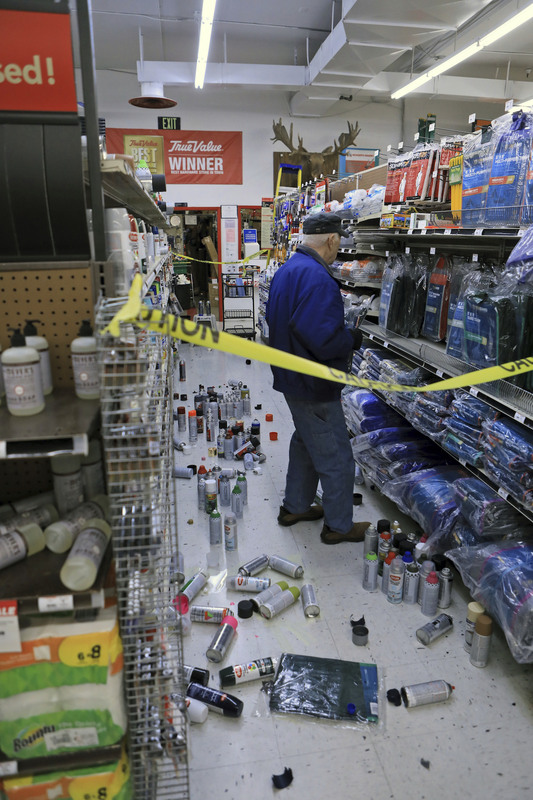 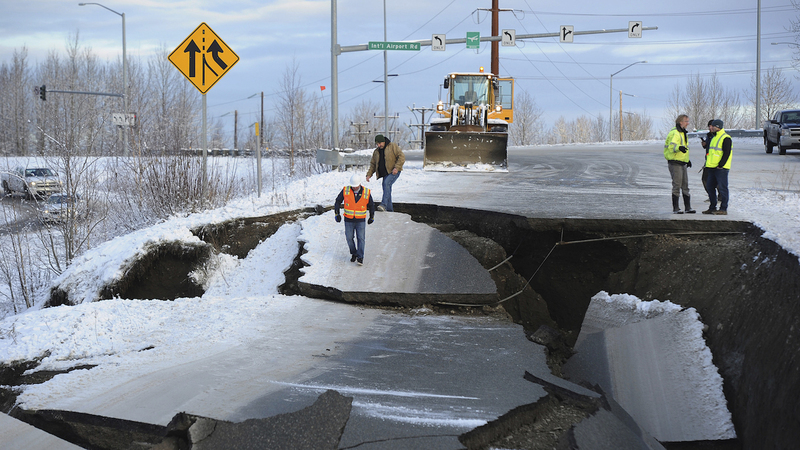 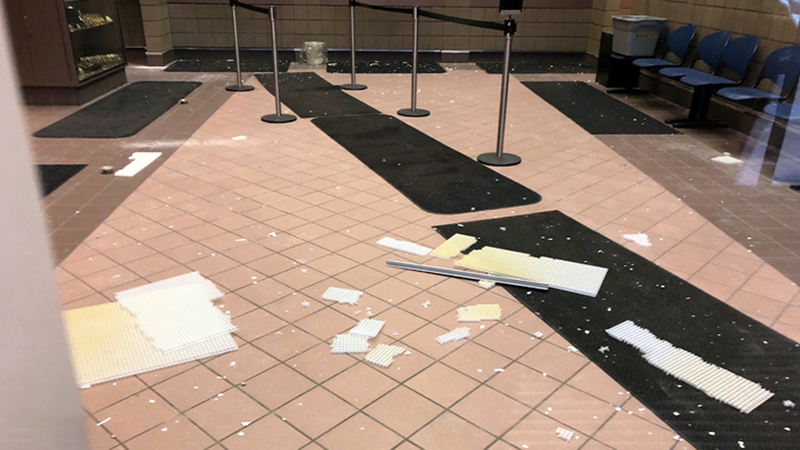 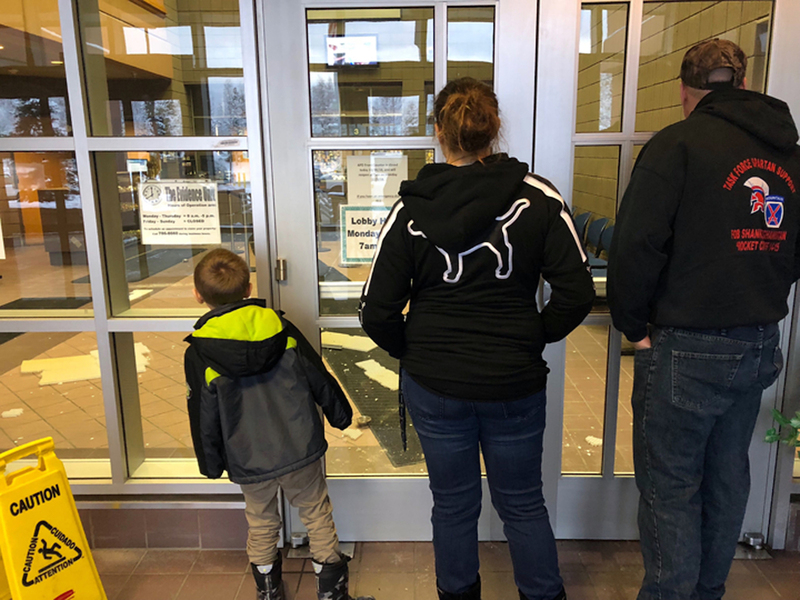 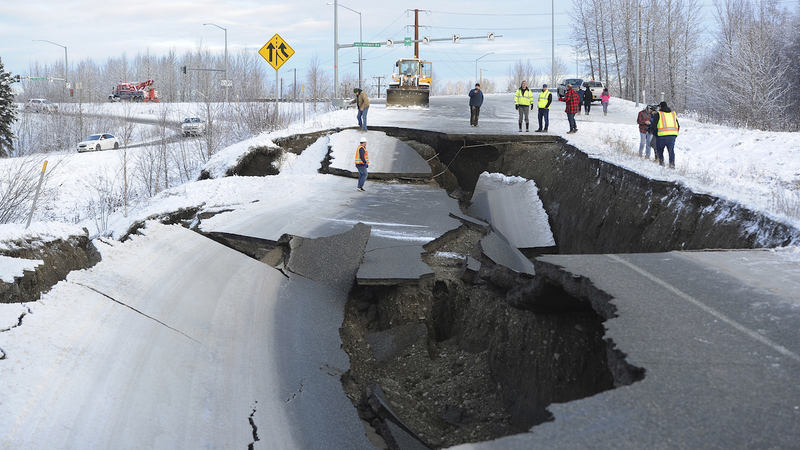 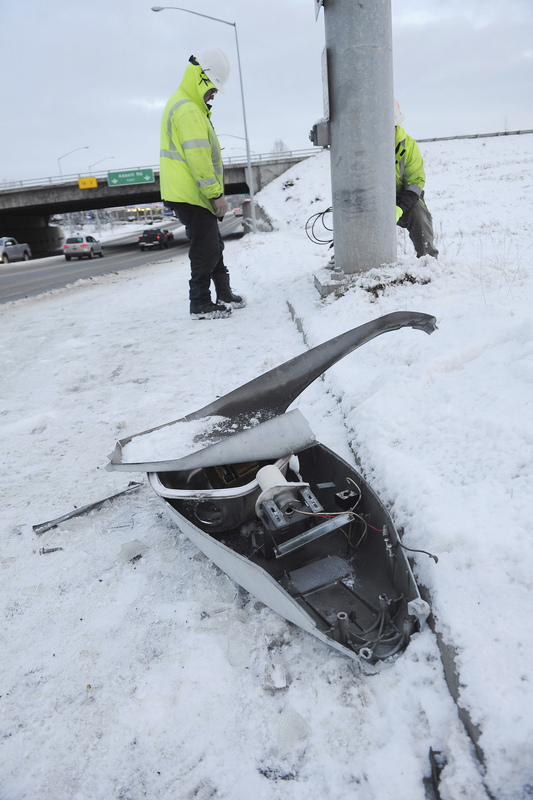 ANCHORAGE -- Back-to-back earthquakes measuring 7.0 and 5.7 rocked buildings and shattered roads Friday morning in Anchorage, sending people running into the streets and briefly triggering a warning to residents in Kodiak to flee to higher ground for fear of a tsunami. 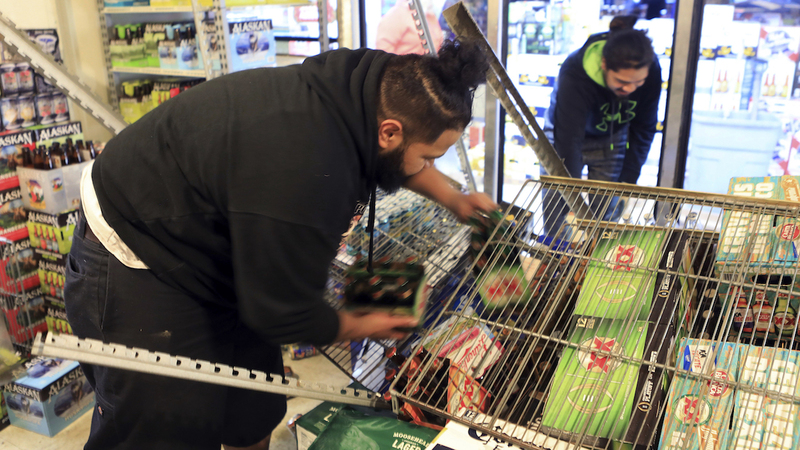 The tsunami warning was lifted without incident a short time later. 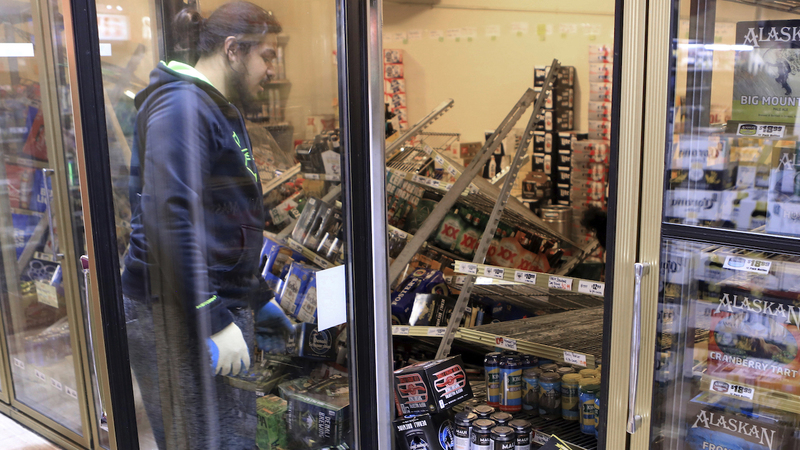 There were no immediate reports of any deaths or serious injuries. 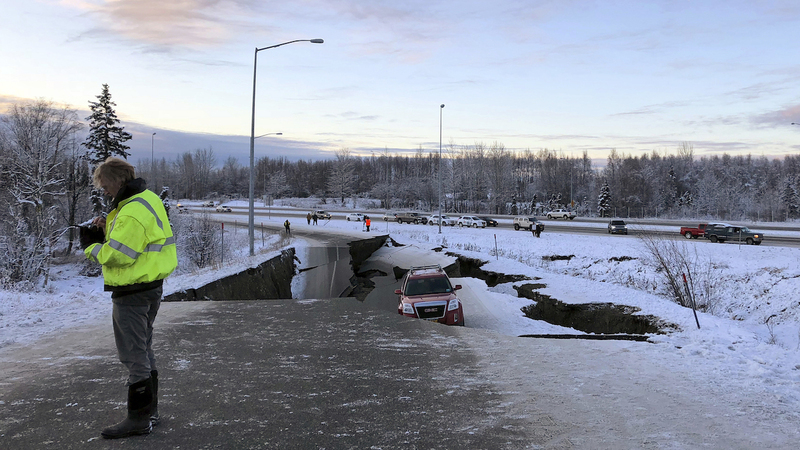 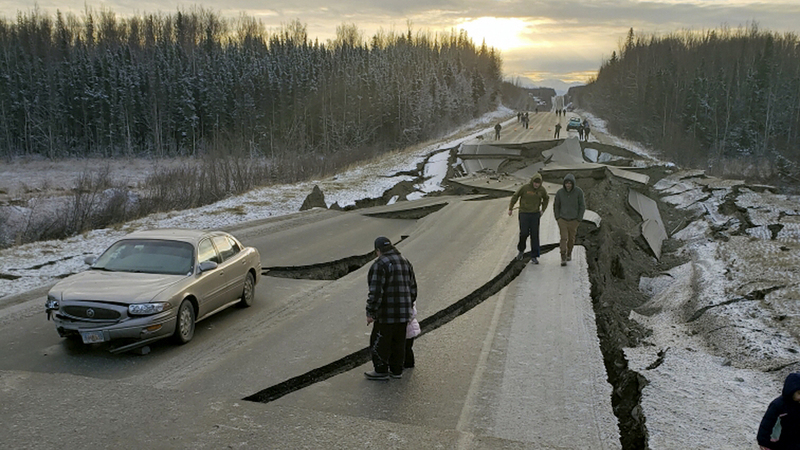 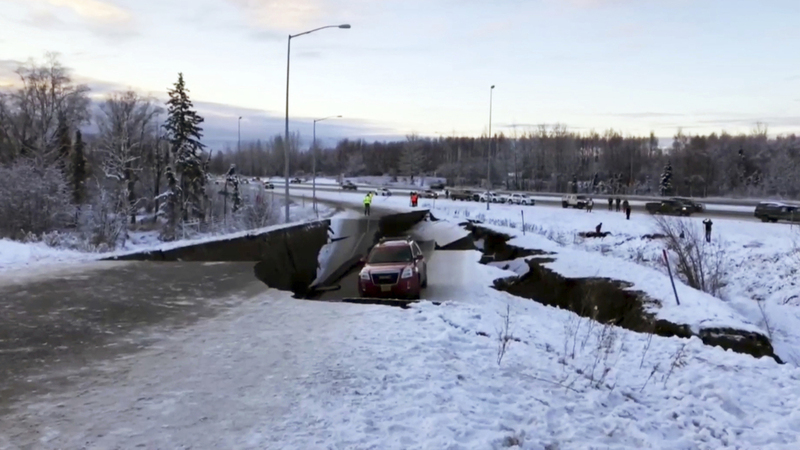 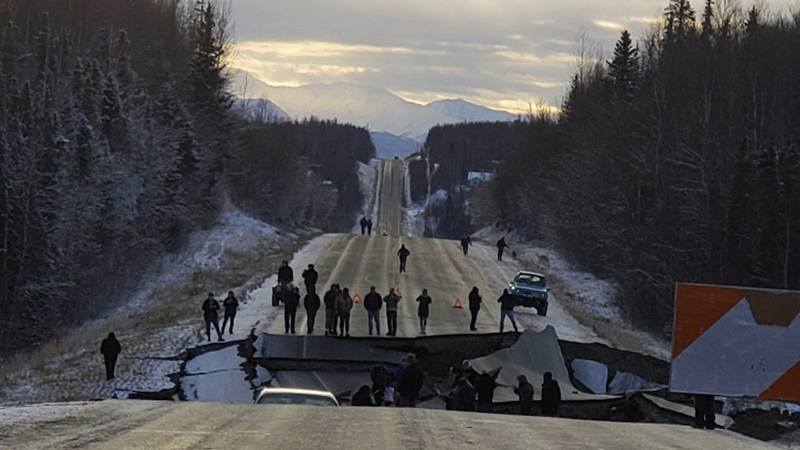 The U.S. Geological Survey said the first and more powerful quake was centered about 7 miles (12 kilometers) north of Anchorage, Alaska's largest city, with a population of about 300,000. 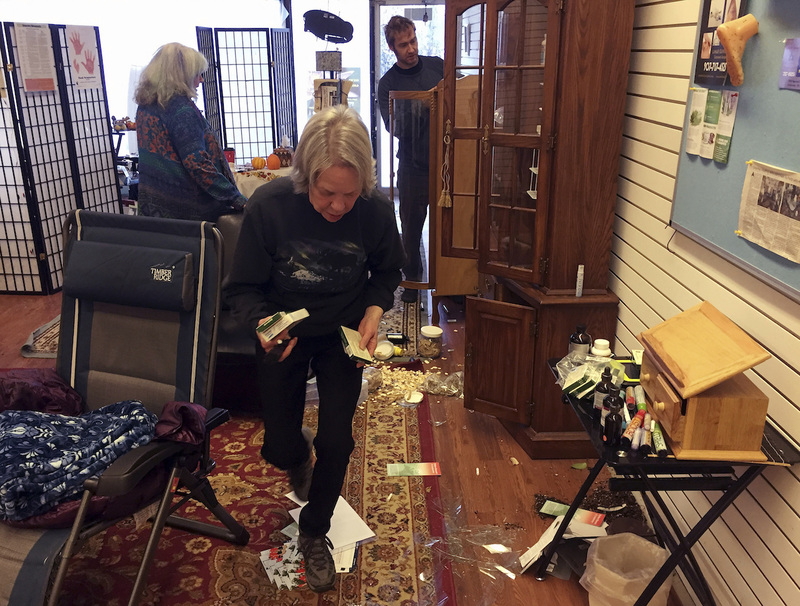 People ran from their offices or took cover under desks. 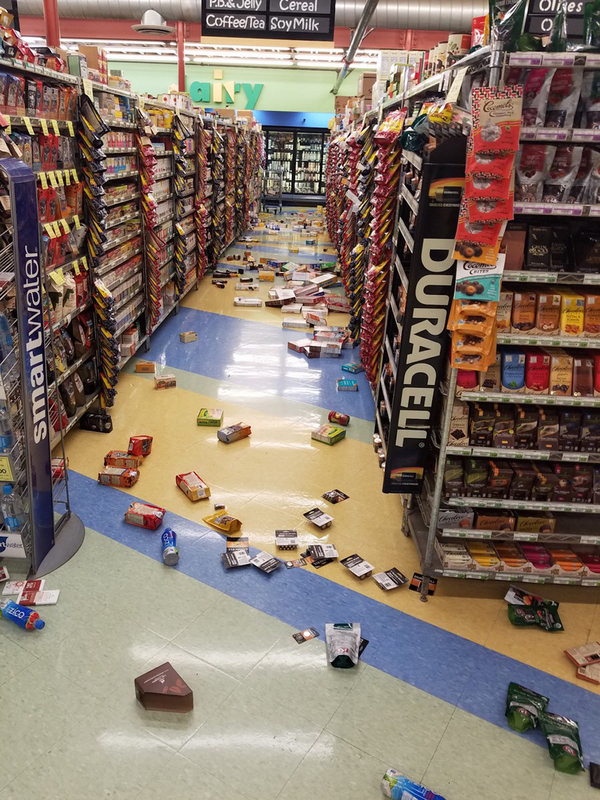 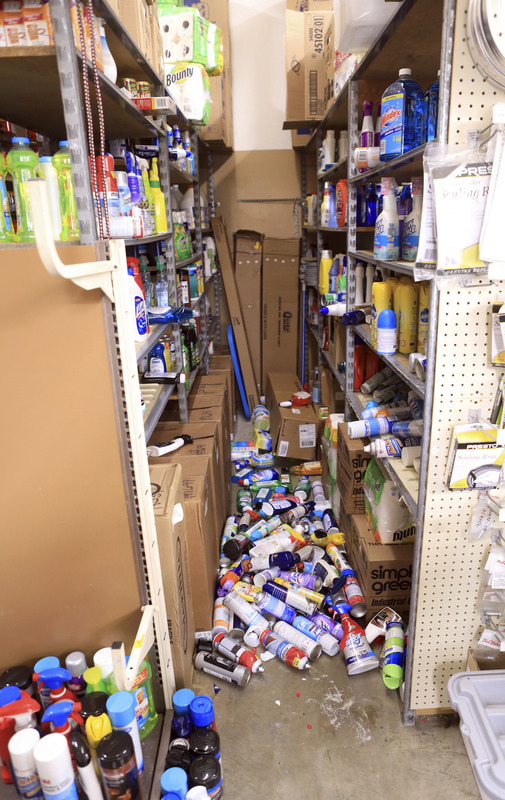 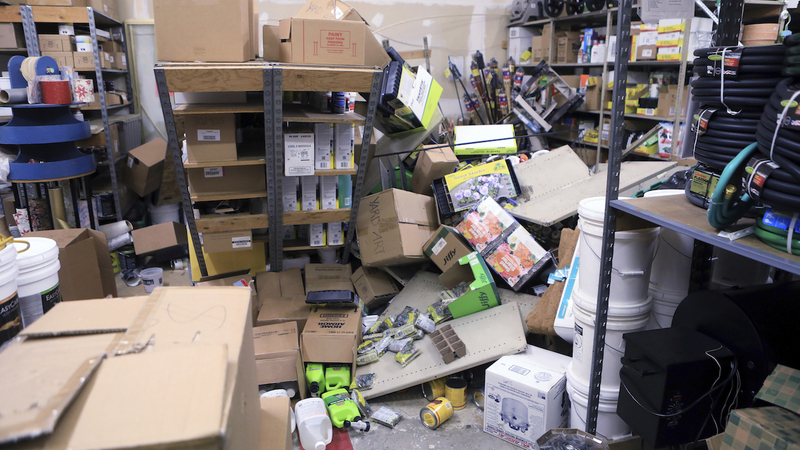 A home surveillance camera caught 20 seconds of chaos and intense shaking as an earthquake struck Alaska on Friday morning.